Today, we are pleased to announce a global launch of monstrous proportions with Zynga’s first role playing game created for mobile: Montopia. 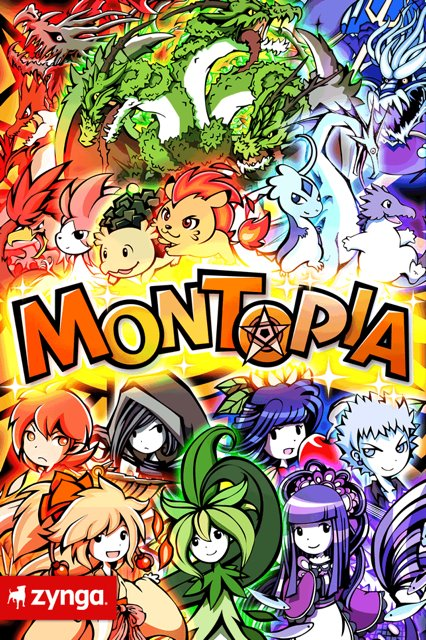 Developed and first launched in Japan earlier this year, we are particularly excited for the global release of Montopia as it marks Zynga’s first RPG style game created for mobile. the help of Milly, your childhood friend, you can save the day and bring peace and harmony back to Montopia. Montopia is the latest addition to Zynga’s growing roster of mobile social games. Launched earlier this year in Japan-only, Montopia will soon be followed by a second mobile social role playing game, Ayakashi: Ghost Guild, coming soon – so stay tuned! Montopia is now available for both iOS and Android devices in Japanese and English with additional languages including Traditional Chinese and Korean coming soon. Montopia can be downloaded for free from the App Store on iPhone and iPod touch or at www.itunes.com/appstore and from Google Play at play.google.com/store/apps.